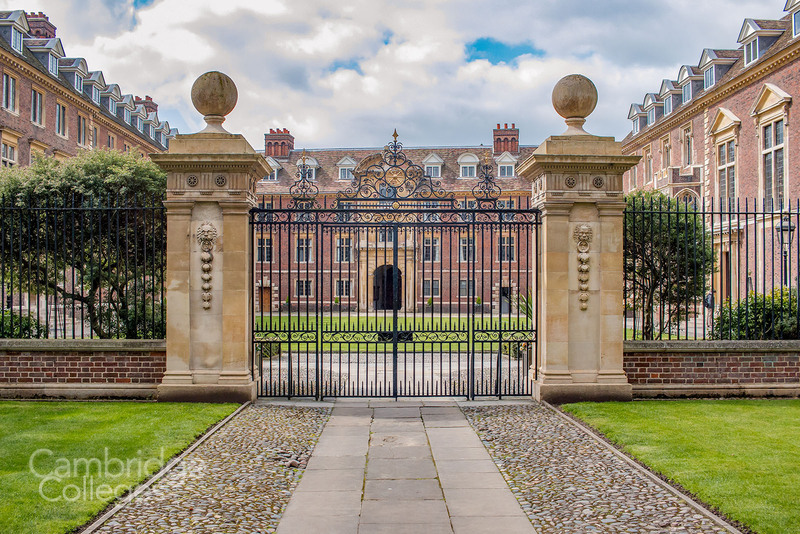 Just down the road from the ever-busy King’s Parade lie the gates of St Catharine’s. Founded originally as Katharine Hall and now fondly called St. Catz (or just Catz) by its students. Est. in 1473, when the Provost of King’s College, Robert Woodlark began work on the college in the mid 15th century, at great personal (and potentially King’s) expense. The college is unique amongst Oxbridge colleges as being the only one to be founded by the serving head of another college. 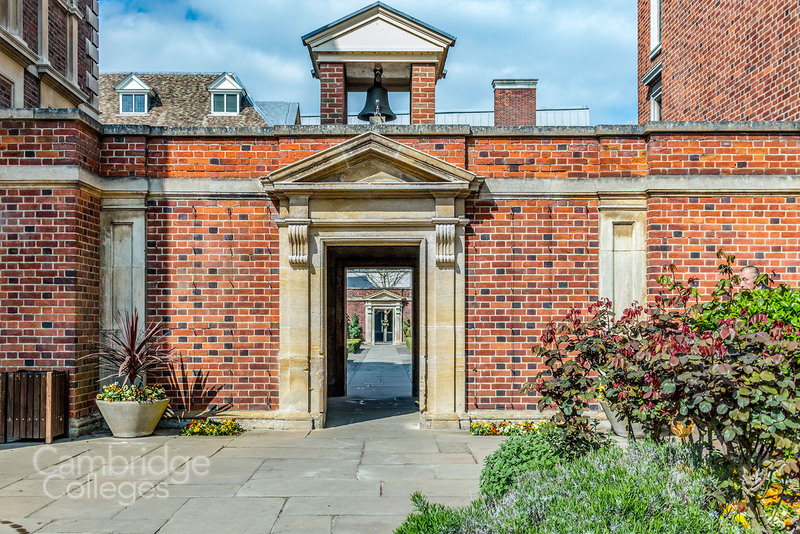 Having to cut short their original plans due to lack of funds, Lady Katharine Hall (as it was originally known) was one of the smallest colleges in Cambridge for almost 200 years, until 1630, when construction began on the land on which the college now stands. Still small in size today, it’s easy to walk the grounds and take in both the old historic first court as well as the newer Sherlock Court and modern McGrath Centre, where many conferences and events are held. St. Catharine’s college main site is located on one side of Trumpington street, in central Cambridge. It is in front of (to the east of) Queens’ college and just south of King’s college. Corpus Christi college faces it on the other side of Trumpington Street. Historically the college has a disputed and mixed academic reputation. Typically found in the middle of the Tompkins Table (ranking system for colleges based on their exam results), they achieved top ranking in 2005 and since have been within the top 10-15 each year. Despite the moderate size of the college housing ~400 undergraduates and ~150 post graduate students, St. Catharine’s is known for the variety of student life events they hold. The boat club hosts the Cardinals Regatta every year, wherein teams in fancy dress are encouraged to bribe their way through a short course. Students also enjoy a range of societies such as the Shirley Society, the oldest literary society in Cambridge, hosting notable personalities from around the world. Their sporting teams benefits from generous playing field and facilities, consistently field a wide range of teams from field hockey to racquet-ball. The central location of St. Catz has introduced a couple of friendly rivalries between other colleges. 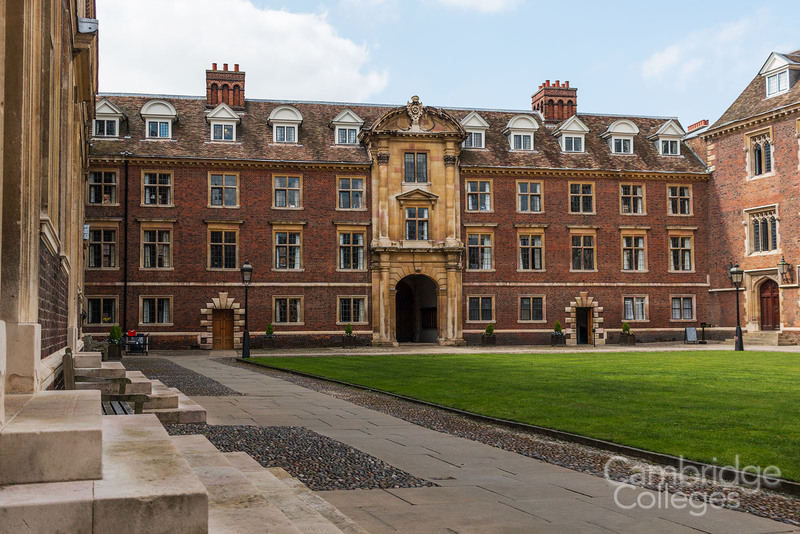 When the college built their main court, they subsequently moved a side of the adjacent Queens’ College from the main street of Cambridge to what now amounts to an alley way. A more recent rivalry arose when Catz expanded from their cramped central Cambridge location out onto Grange road. Their new accommodation building – with rooms filling an octagon shape meant to resemble the college crest, a water turning wheel – was a little too close to Robinson College. These rivalries also result in more intense sporting events and more friendly college swaps and other social activities. “For me, Catz is all about the atmosphere. It’s such a friendly place, whether it’s playing hockey with my stairwell mates, having lunch in hall, or just talking to the porters or staff, I always feel welcome” according to a 2nd year undergraduate student. This sentiment is confirmed by a post-doctoral researcher from the college “I’d say the best part of it is the people – an outgoing, ambitious group of people in my cohort that made life fun while I was there. I also thought the bar and formals were good – lot of opportunity to mix and interact with different people. Kept life interesting”. Furthering this idea of inclusive community, Catz has made news by putting forward progressive standards for all its students. They have established the first girls-only choir for the college and changed dining attire rules to allow gender-neutral clothing at formal halls. Walking around the Catz gives you a sense of time and place that present such contrast in Cambridge. The old main court contains all the elements you imagine of a classic Cambridge scene. However, pass under a small walkway and you’ll find the metallic and modern McGrath centre. 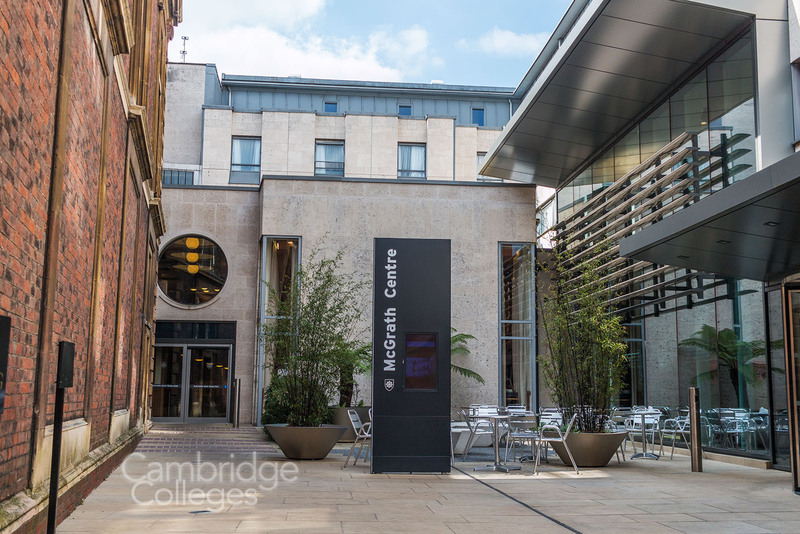 Large glass panels, with students working and Power Point presentations projected against white walls create an open and spacious feeling makes the college a great mix of the old and traditional with the practical and functional that defines the Cambridge atmosphere. Rona Fairhead (chairwoman of BBC Trust). Their alumni reach well beyond the western world, as both the first prime minister of Malaysia Tunku Abdul Rahman, and President of India Fakhruddin Ali Ahmed also attended the college. The oldest and potentially most-long lasting alumnus for the Catz community was John Addenbrooke, who founded the hospital in his name, which serves as a major research and care facility for thousands of researchers and patients alike.